It’s how businesses get along. Round and round. Up and down. And side to side. 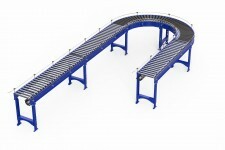 Our conveyors make moving meat, veges, fruit, packages, gravel and even pallets simple and efficient. We can customise to meet your needs and all our designs are proprietary. 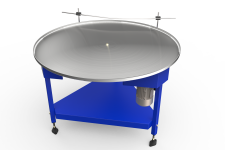 Cost-effective, strong and stable these conveyors are the choice of warehouses, dispatch areas, and many sectors of the food industry including meat and fruit. Quiet, cost-effective, and easy to install, they’re a pleasure to work with, and around. Gravity works for Free! Not only are these conveyors one of the simplest ways to handle goods, they’re also the toughest. 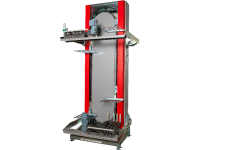 Durable and versatile, these are a familiar site in the production lines of some of New Zealand’s leading companies. 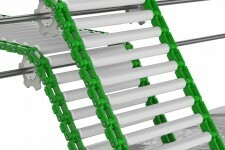 These conveyors have changed the way we work. From individual products to 60 pallets per hour, they’ll handle it all. The success of Dyno’s Chain Conveyors comes from high-strength Acetal – enabling them to handle the most challenging jobs. 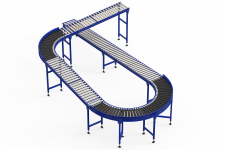 Their ability to expand, contract, and create curves make these conveyors the perfect space-saving fix. 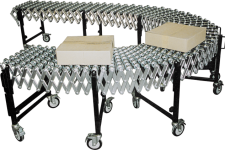 Dyno supplies high quality, competitively priced conveyor rollers to all areas of the material handling industry. 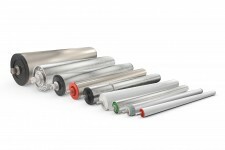 All our rollers are made to order, to suit your specific application and preferences. It’s the little things that make every conveyor go smoothly, and fortunately, Dyno have them in-stock. 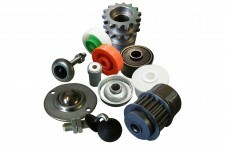 Dyno’s range of accessories enable conveyors to be customised to meet the exact needs of every client, and every job. Dyno underscored its belief in itself by offering a five-year warranty on all of its products. The move is in line with the company’s continuing support to its clients and the pride it takes in the Dyno range which must, pledges Dyno, be on its best performance at all times.